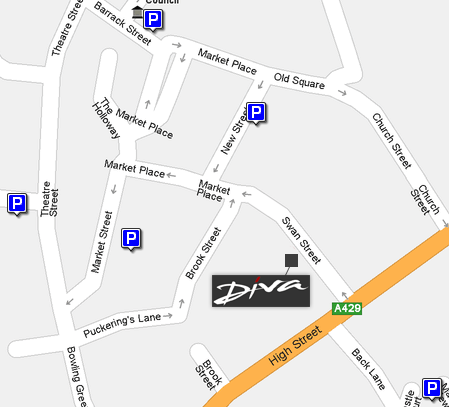 Diva Hair is located on Swan Street in the historic market town of Warwick. We are in a convenient, central location just a short distance from Warwick Castle. The nearest car parks are located on Market Street, Linen Street and New Street. Please note that Linen Street (off Theatre Street) is a long-stay car park, whilst the others are all short stay.